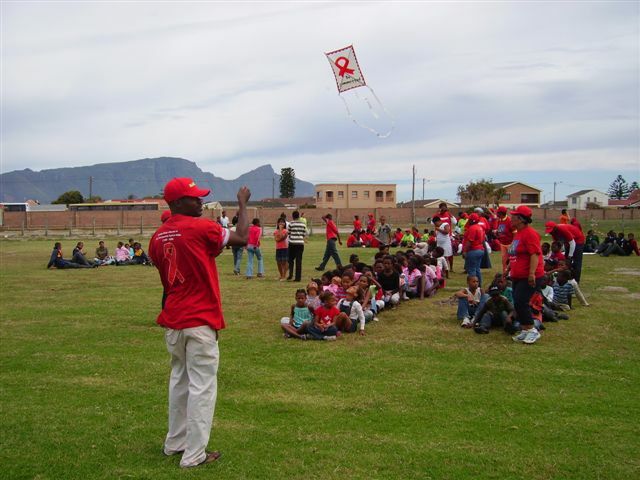 Monday 1 December was World Aids Day. 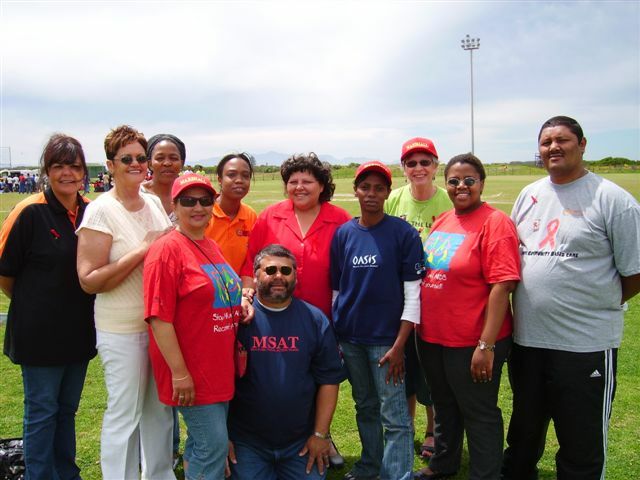 WUCT is a member of MSAT South – Multi Sectorial Action Team, which consists of goverment departments and NGO’s working together in the fight against HIV in the South Peninsula of the Western Cape. 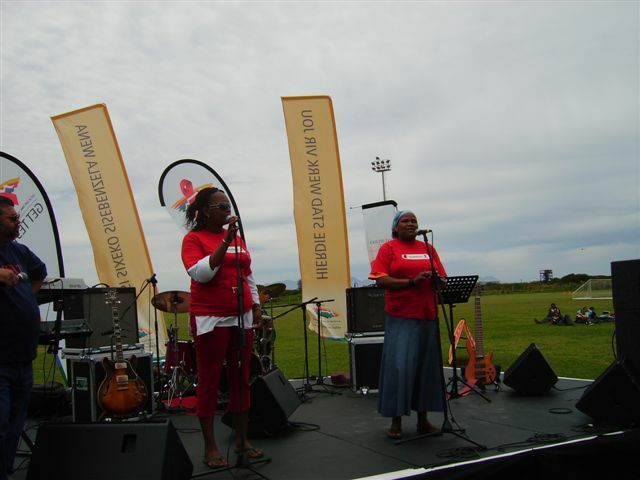 We organised an event at Rooikrans Sportsfield in Grassy Park, which consisted of a march, bands, dancing and other entertainment with the focus on HIV/Aids. 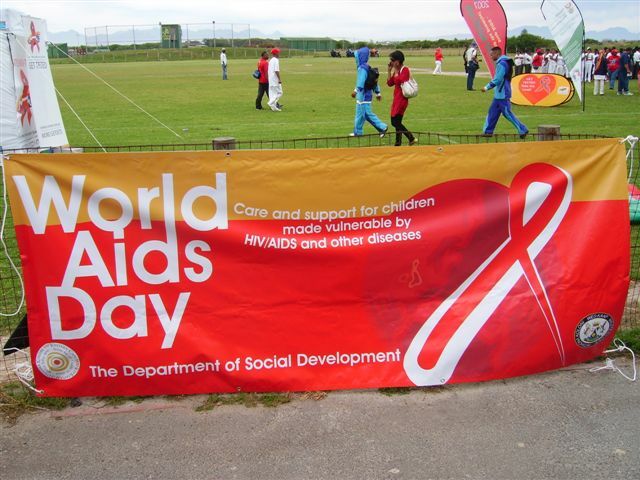 There was also HIV testing all day. 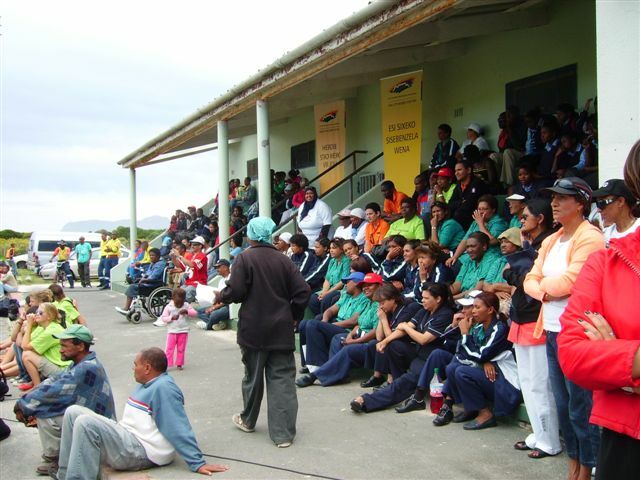 Golden Arrow bus service transported 75 Westlake children to the event. 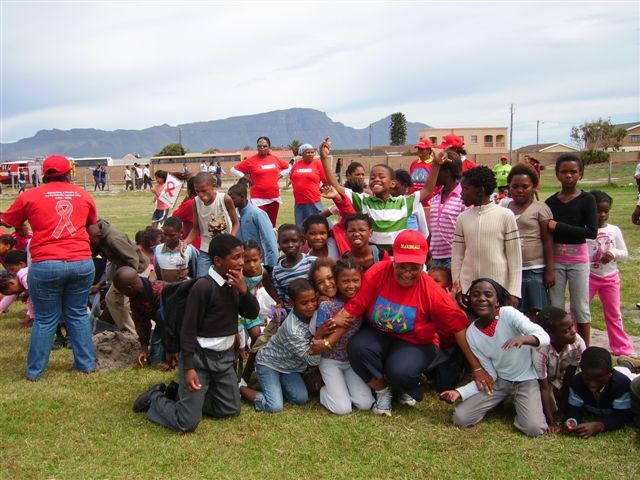 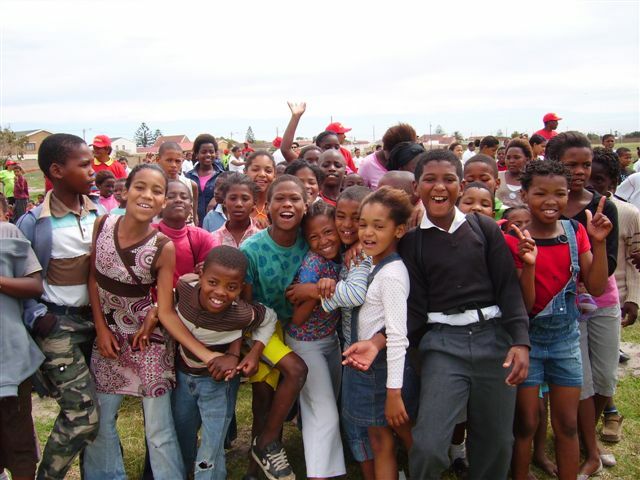 They were all given red t-shirts and formed an Aids ribbon amongst other children dressed in white t-shirts. 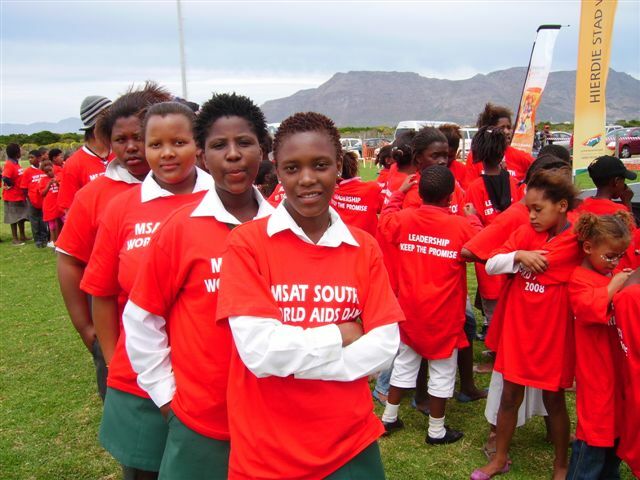 The youth mayor of Cape Town addressed the crowd with a strong HIV-prevention message. 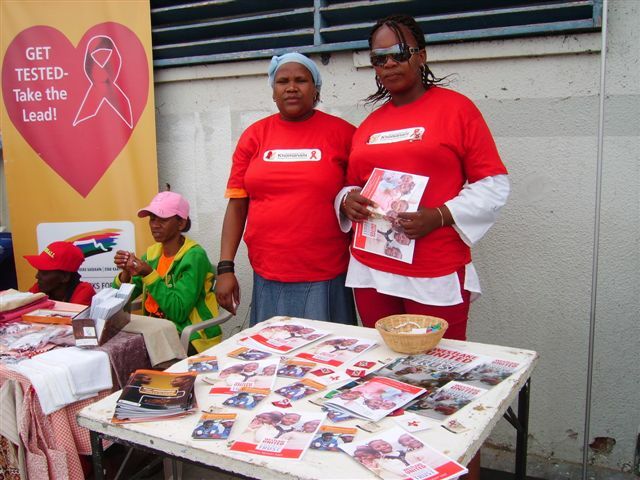 Cembakazi from our Ithemba support group disclosed her HIV positive status in public, with the help of a translator, Siphokazi, our Patient Advocate, who does the anti-retroviral monitoring in Westlake. 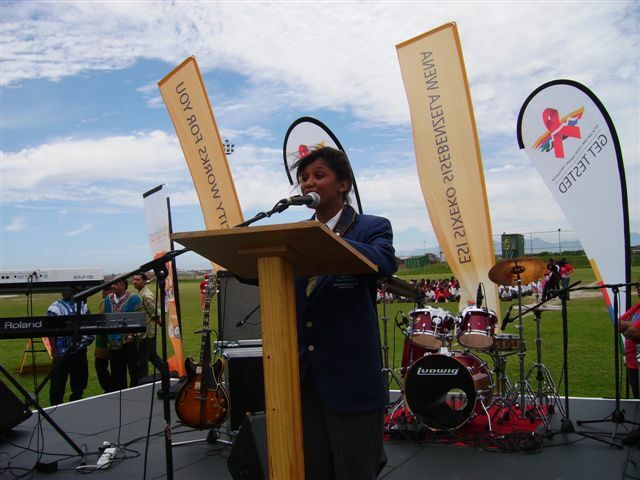 We are so proud of Cembakazi who spoke so well in front of a large crowd. 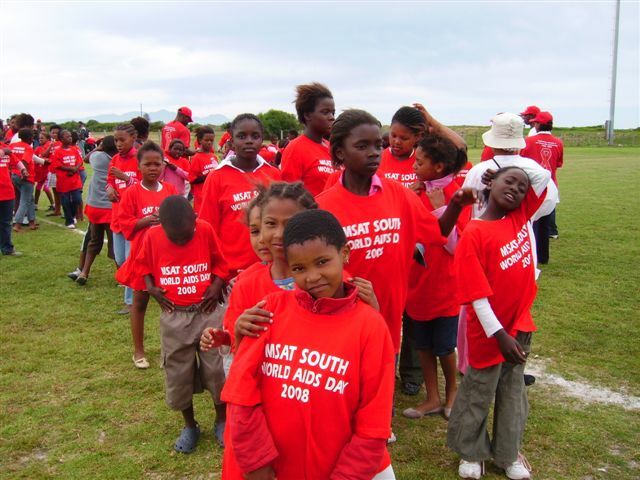 She advised everyone to get tested so they know their status. 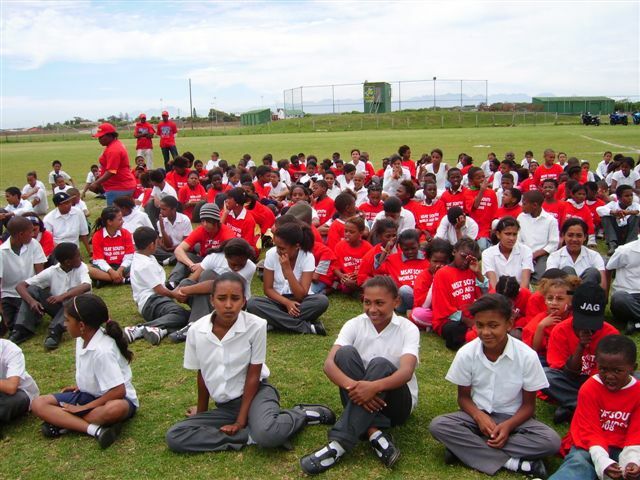 The day was a tremendous success – despite the noise, heat and wind!